For Roshani, dance is a compulsive need and a spiritual way for finding happiness. She describes it as one of the greatest exploration of the soul’s journey. 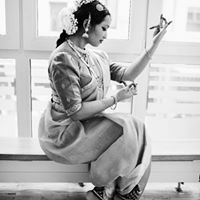 Born in Sri Lanka and moved to Germany at the age of four, Roshani started her dance career at the age of six under the guidance of Guru Diana Ratheesh. Since then, her love of dance has continued to flourish and ten years later, in 2005, she performed her Araṅgetram. In 2005 and 2006 she participated in a German Dance Competition “Thith Thith Thei” and won 1st place for her solo performance “Padam”. Roshani has been performing dance in many different countries for various occasions. As a result of an experiment with other types of classical music, she does several Contemporary Dance pieces. Moreover, she does Bollywood Workshops, is a Hobby Artist and Lyricist as well. Besides being a Bharatanatya dancer and teacher, she is still doing the South Indian Carnatic Classical Music. In collaboration with Uta Plate from the “Schaubühne Berlin”, she performed in 2008 different contemporary play-acts in Germany. Beyond that, she taught for awhile, after graduating from the Tamil school in 2007 where she studied her mother tongue. 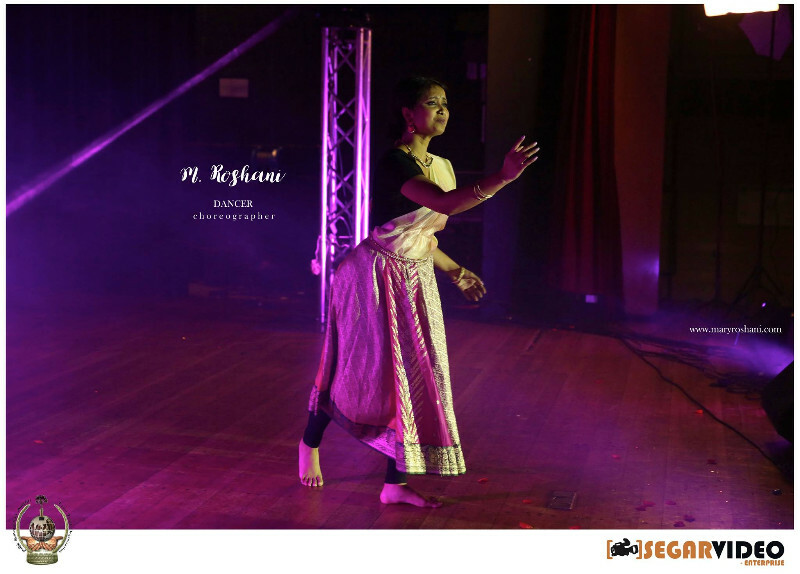 In 2011 Roshani graduated and obtained her Dance Diploma with Distinction and got the “Natya Kalajothy” title. Currently she is doing her M.A. in Asian Studies at the Rheinische Friedrich-Wilhelms University Bonn and is working as a dance teacher at the Hochschulsport in Bonn since April 2014.